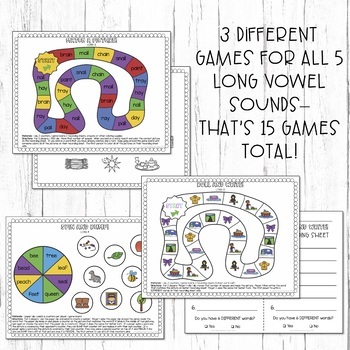 These Vowel Digraphs Games are perfect for 1st and 2nd grade students who are practicing their long vowel sounds! 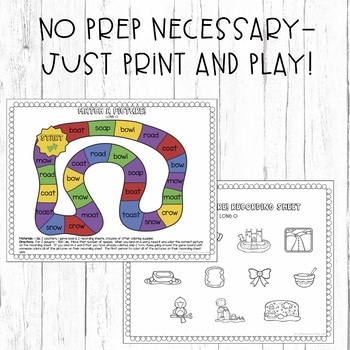 These games are a fun way for your students to learn to read and spell words with long vowels! 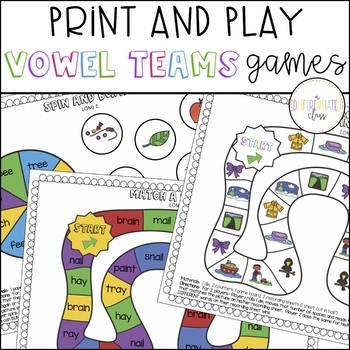 Included in this resource are 3 different games to help students practice all 5 long vowel sounds (15 game boards total)! 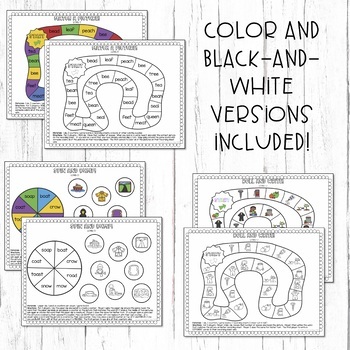 Each game board has both a color version and a printer-friendly black and white version. Long i: ie, igh, y (although "igh" and "y" are not vowel digraphs, I felt they were important spellings for the students to know). These games are super easy to prep!! Just print, laminate (if you wish) and play! The only materials you need are things you probably already have on hand such as pencils, crayons, counters and paper clips (to use as a spinner).